Pure water - is one of the main components of our health. Doctors recommend: in order to feel better, drink more pure water. It is the universal advice helping to keep good state of health. But it's necessary to answer the question: what kind of water is really pure and where is it accessible? According to the World Health Organization more than 80 % of all human diseases are connected with inadequate quality of potable water. Drinking water of good quality is the water which does not contain unhealthy impurities. It should be flavorless, colorless and safe for long-term use. Each person has the right to receive potable water of good quality. In spite of the fact that tap water corresponds to the accepted sanitary standards, it remains not so pure and useful. Bioactivator NEROX-ACTIVE makes water biologically active and provides unique properties, returns natural structure, enriches with necessary macro- and micro elements, refines of harmful impurities. You can easily prepare pure, tasty and useful water at house! We offer you the line of Bioactivators NEROX-ACTIVE on the basis of natural minerals: black flint, zeolite, activated shungite. 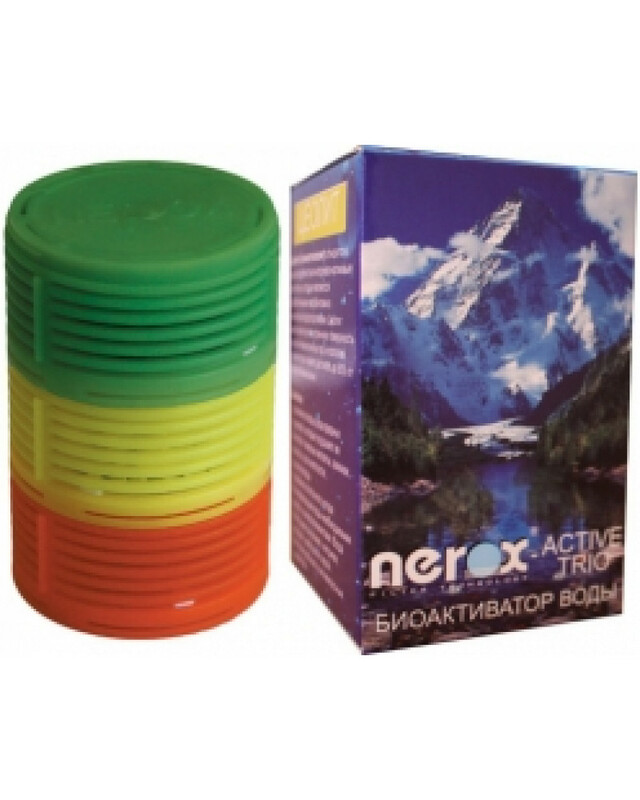 Bioactivators NEROX-ACTIVE can be used separately. We recommend using the complex of three minerals - NEROX-ACTIVE-TRIO, for reception of water of new generation. We have got used for a long time already that our tap water is chlorinated. Chlorination is one of the cheapest and at the same time effective methods of water preparation. The most important problem of the given method is high activity of chlorine; it makes the chemical reactions with all organic and inorganic substances of water. As a result, the chlorine-containing toxins, mutagen and carcinogenic substances which make negative impact on our health are formed. At boiling chlorine interacts with organic impurity with dioxin formation - the powerful carcinogens referring to the category of especially dangerous poisons. For chlorine removal it is recommended to use Shungite and Zeolite in view of its antioxidant properties. Flint always occupied honorable place as the most ancient and faithful guide of the person. Since the Stone Age, it was close to people as fire stone, stone-worker, and the doctor. Healing properties of the flint were mentioned in many treatises of ancient philosophers. Antique doctor Paracelsus was the first person who said that it was healing. He was treating burns and deep wounds, kidneys and urinary bladder diseases, delay of urination and even nervous breakdowns by means of this mineral. Long since flint was used for laying out the bottom and internal surface of wells, as it has been noticed that the people using water from such wells were sick much less, and water unusually transparent, tasty, curative. From more than 200 types of flint, meeting in the nature, no more than 8-10 kinds are applied for clearing and activation of water and only of the opal-chalcedonic structure, named "black flint". The color of "black flint" varies from dark grey to black, sometimes brown, that is caused by presence of the hardened organic chemistry as a part of mineral. Often people mix absolutely different things - rock flint and chemical element silicon. Flint is the natural formation consisting of different minerals (chalcedony, quartz, opal etc. ), and silicon - is the chemical element в„–14 of Mendeleyev table that is the part of the above-named minerals. Flint is the silicon dioxide (small crystals of chalcedony or quartz and amorphous opal, forming ideal cubic packing from the smallest grains of silicon oxide). In the composition of black flint the raised maintenance of organic substance: the fossilized rests of ancient seaweed, sea mollusks, hedgehogs, microorganisms which existed at the bottom of the Mesozoic sea. Structurization (activation) of water. As a result of interaction of water molecules with the flint surface there is a change of a valency corner in a molecule of water, distances between atoms of oxygen in two neighboring molecules of water, distances between two backs. And these deformations arising in the course of adsorption, remain and at transition of a molecule of water from a flint surface in liquid volume. The given processes conduct to change the water molecule, density and dielectric permeability of water. Energy of hydrogen communications in the water contacting with flint also changes, these leads to change of its physical and chemical properties. Water becomes structured and biologically active that defines its unique properties. Sedimentation in water of some heavy and other metals: copper, aluminum, iron, cadmium, cesium, zinc, lead and strontium. Sedimentation of metals, as researchers consider, is caused by those structural changes which arise in water molecules under the flint influence. Antimicrobial properties. Researches have shown that the water activated by black flint, gets antiseptic properties and can be applied as additional means at treatment of external inflammatory processes, to acceleration of wounds healing. Efficiency of antimicrobial action of flint on colon bacillus and aurococcus in an hour of insisting makes 99 %! Enrichment of water by silicon. Silicon - is one of the major microelements of a human body. Silicon compounds are necessary for normal development and functioning of connective and epithelial tissue. It promotes biosynthesis of collagens and formation of a bone tissue (after fracture the quantity of silicon in a bone callosity increases almost in 50 times). It is supposed that presence of silicon at walls of vessels prevents the penetration of lipids into blood plasma and their adjournment in a vascular wall, that silicon compounds are necessary for normal course of lipid exchange process. Silicon strengthens walls of blood vessels, raises their elasticity. It makes positive impact on immunity, participates in a metabolism, promotes assimilation of many microelements and vitamins, improves appearance of a skin, hair and nails. Silicon is found out within a skin, hair, thyroid gland, hypophysis, adrenal glands, easy, least in muscles and blood. Silicon - is the element of youth and beauty. With the years its level in an organism decreases, therefore older persons require more silicon. Activated by means of flint, water possesses fine flavoring qualities and balanced macro and micro-componential structure. The flint activated water used instead of usual water at cooking; improves taste of products, raises efficiency of medical infusions and broths, it is recommended for using in house preservation of vegetables and fruits. Such water considerably increases seeds germination, accelerates process of germination and raises productivity of cultivation. It is recommended to use flint-activated water for indoor plants watering. Flint water is fine cosmetic mean and it is recommended for regular use for skin and hears care. Washing of hair by such water strengthens them and promotes fast growth. It freshens a skin, gives elasticity. Zeolite is translated from Greek as "a boiling stone". Zeolites - minerals from group of high flint aluminosilicates of alkaline and alkaline-earth metals with opened frame-cavernous structure. According to mineralogical structure Bioactivator - Nerox Active Zeolite refers to especially valuable version of Zeolites which maintenance in breed is estimated at level of 75 % (it allows to use the given material without preliminary enrichment). Zeolite has a huge internal surface in the form of numerous cavities, channels and pores. Mineral cavities are filled of cation and water molecules. At heating this water evaporates with steam allocation - the stone "boils". The Zeolite deprived of water represents micro porous crystal "sponge"; the volume of a pore in which makes to 50 % of volume of Zeolite frame. Such "sponge", having diameter of entrance apertures from 0, 3 to 1 nanometer, is a highly active adsorbent. The developed specific surface, good adhesive, adsorptive and ion - exchanging properties of Zeolites give the chance to take effectively with their help from a cleared liquid weighed, colloid and the dissolved polluting substances of an organic and inorganic origin, including ammonium ions, heavy metals and radionuclides. Removal of some harmful impurity which worsen quality of water: ions of metals (aluminum, iron, lead, mercury, copper, cadmium, cobalt, silver), ammonia, phenols, radionuclides. The main characteristic of klinoptilolite is the specific ability to adsorption of ammonia and radioactive cesium. 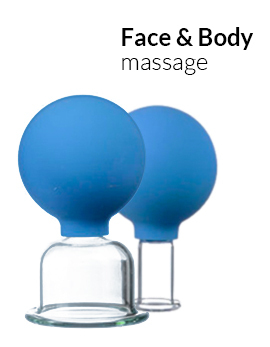 After 15 minutes of water contact there is an active absorption from water of ions of heavy metals - cadmium and lead. Rigidity salts are moved off, water becomes soft, the general rigidity decreases. Purification of water from impurity is carried out by an ionic exchange - cations of alkaline and alkaline-earth metals are easily replaced by impurity cations (cation-exchange properties of zeolites). Zeolites possess sorption properties in reference to chlorine-organic connections that allow applying them for improvement of potable water quality. Antimicrobial and anti-virus properties. Natural zeolites effectively delete a number of pathogenic bacteria and viruses that gives the chance to use them in water preparation practice. Efficiency of antimicrobial property of zeolite on colon bacillus and aurococcus in an hour of insisting makes 99 %! Water mineralization. Water is enriched of potassium, natrium, fluorine, free sulphur. Joint usage of zeolite and schungite raises degree of water mineralization by macro- and microelement which are necessary for the organism. It is recommended to use the zeolitic bioactivator for the water purified by means of filters, as the filtered water is poor of minerals. Potable water should be not only pure, but also useful. Shungite - is the most ancient carbonaceous mineral. Karelian shungites lie in the most ancient statums of the Earth's crust which age exceeds 2 billion years. These minerals are extracted exclusively in Kareliya. The mineral's name comes from the name of settlement Shunga, where it has been found out. Shungite curative properties are known for a long time. In 1714 Peter the First has based a resort which has received the name «Martsialnye vody» in Kareliya. Water, passing through the rock strata of Shungite, gets curative properties. Having known about unique antiseptic properties of Shungite, Peter has ordered to each of his soldiers to carry a slice of shungite in rucksack (in those days it was called as "State stone"). Lowering the stone slices in kettles with water, soldiers were receiving the fresh, pure and disinfected water. Shungite - is the group of the firm carbonaceous mineral substances representing amorphous versions of carbon. C SiO2 TiO2 Al2O3 FeO MgO CaO Na2O K2O S H2O РєСЂ. Structurization (activation) of water. It is caused by presence in shungite's structure fullerenes for opening of which in 1996 to group of researchers (Robert Kerl, Harold Kroto, and Richard Smelli) the Nobel Prize in chemistry has been awarded. The molecule of fullerene contains 70 atoms of carbon, looks like sphere and possesses ability to structuralize water. Water is a system consisting of the free and ordered molecules. Sets of the ordered molecules of water are so-called «flickering clusters». Clusters define biological activity of water and its medical nature, however exist very short time - milliard fractions of a second. They either dissociate, or appear again. That' why they have got the name of the flickering. Molecules of fullerene structures water. The given structure remains long time in free volume of water without contact with shungite. What is the value of the structured water? All body fluids are structured. Mechanisms of cell discerning, ability of the active centers of enzyme and substratum to recognize each other on rather huge distances, antioxidant and many other processes - it is impossible to consider without taking into account the water environment near to simple and difficult reagents. Each ion, molecule, biomacromolecule possesses the hydration capsule which is presented by the structured water. Maintenance of special water structures is necessary for normalization of all biochemical processes in a human body. Ideally potable water should have the structure close to the structure of body fluids. Only in this case it will be acquired by an organism without superfluous expenses of energy and will bring maximum value. Adsorption of impurity: iron, manganese, phosphorus, arsenic, mineral oil, benzol, phenol, pesticides, spirits. At sufficient time of water contact (1-7 hours), containing organic pollutants, shungite reveals, besides sorption, catalytic properties concerning oxidation of following organic impurities - dichlorethane, propanol, butanol, toluene, benzol, chloroform, chlorophenol. Antioxidant action concerning free radicals, including chlorine. Free radicals usually are represented at an organism in small amounts, and the healthy organism controls them. However free radical reactions can be beyond control that may influence on metabolism, functional condition of cells and an organism. Shungite is a powerful antioxidant and actively deletes free radicals from water. Shungite, processed by means of special technology, in property to delete chlorine organics from water surpasses the activated carbon in 30 times! Shungite - natural mineralizer. Water is enriched by silicon, sodium, potassium, sulfur, microelements in the process of an ionic exchange. Water has the balanced mineral structure. Such water improves metabolism, tones up and influences curatively on organism. It is recommended to use shungite bioactivator for the water cleared by means of filters, since the filtered water is poor of minerals. Potable water should be not only pure, but also useful. Antimicrobial effect. Researches have shown high antimicrobial effect concerning colon bacillus (Р•.col) and epidermis staphylococcus (S. epidermidis). Even the water which has passed a careful filtration, in some hours becomes infected with microbes and requires additional treatment. Efficiency of antimicrobial property of shungite bacillus and aurococcus in an hour of insisting makes 99 %! Ability to "self-regeneration" at the expense of the adsorbed substances' oxidation on the shungite's surface to simple chemical compounds - to carbonic gas and water.